A nuclear political bomb has detonated in Silicon Valley, and Google is ground zero. The impact of this leak cannot be overstated. Google is already reeling — and panicking, as the quality of its first response to the leak reflects — because of how bad this looks for a company that has vociferously denied rigging its products against conservatives. 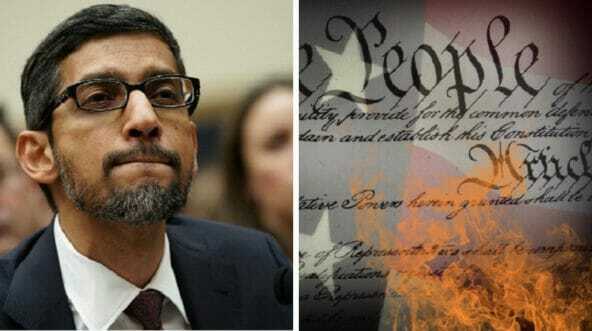 Conservatives have long thought that Google is suppressing their points of view, making it harder for conservative news and opinion to make it into the top section of the page Google displays when a user searches a word or phrase that might be in the news. The leak appears to confirm that’s exactly what is happening. The most damaging item is an alleged memo obtained by The Daily Caller on how Google’s blacklist is managed. This is not about blue links. It’s about Google blacklisting conservatives so that results skew against them. This should be a clarion call to war for conservative members of Congress. Conservative speech is under attack. If we lose free speech on the internet, we’re finished. Traditional media is circling the drain. Print newspapers are dying. If online suppression continues, in 20 years, 10 years, or maybe even five years, conservatives will find any idea they publicize immediately relegated to the ash heap of history. Well, it won’t actually be an ash heap. It’ll be a massive computer’s recycle bin. And at that point who needs to burn books when Google can just press “delete”?